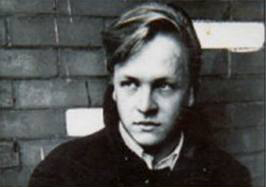 Jackson C Frank, 60s folk icon and early boyfriend of Sandy’s is the subject of a BBC Radio 4 programme, currently available (both within and outside the UK) on BBC iPlayer until November 27th. Frank was a strong musical influence, not just for Sandy but for many other British folk singers of their generation. Sandy covered several of his songs (including Milk & Honey, You Never Wanted Me and Blues Run The Game). Frank also supported Fairport Convention on one of their early tours.